Wearing an olive puffer jacket and Joe Fresh baby boys chino with suspenders is a savvy fashion option for your little angel. Grey sneakers are a nice choice to finish off this look. 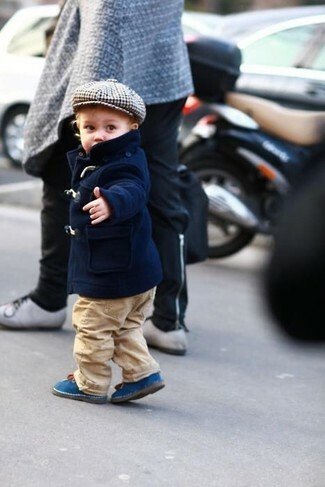 Suggest that your little guy reach for an olive jacket and tan trousers to create a neat, stylish look. 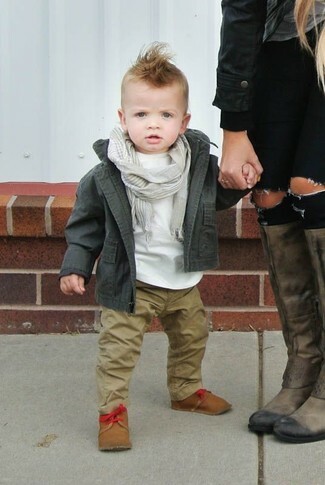 As for footwear your child will love tan boots for this look. 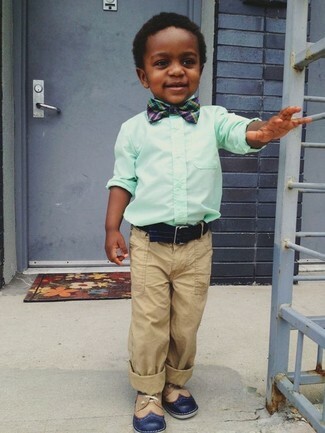 Teach your little one how to look put-together and stylish by suggesting that he pair a mint long sleeve shirt with Joe Fresh baby boys chino with suspenders from Joe Fresh. Navy oxford shoes are a good choice to finish off this look. 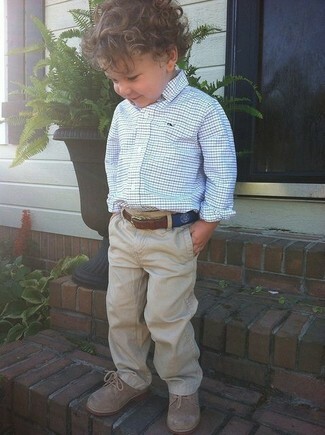 Create an enviable style for your munchkin by suggesting that he pair a white and blue long sleeve shirt with Joe Fresh baby boys chino with suspenders. Tan oxford shoes are a great choice to finish off this ensemble. Suggest that your tot opt for a navy blazer and Joe Fresh baby boys chino with suspenders from Joe Fresh for a sharp, fashionable look. Navy boat shoes are a great choice to round off this style. 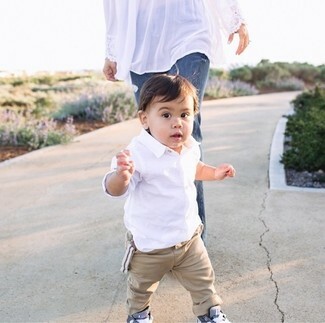 Teach your little angel to take pride in his appearance by suggesting that he reach for a white long sleeve shirt and tan trousers. Grey sneakers are a nice choice to complete this outfit. 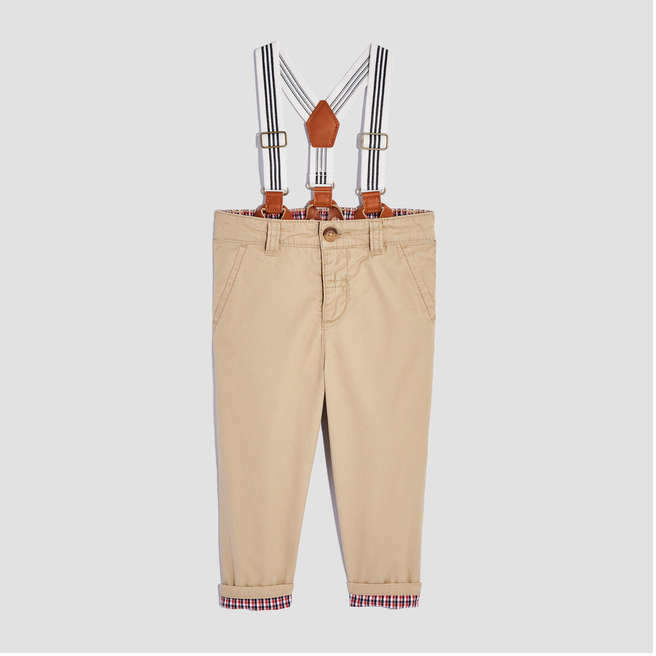 Suggest that your boy reach for a black long sleeve t-shirt and Joe Fresh baby boys chino with suspenders to get a laid-back yet stylish look. This outfit is complemented perfectly with tobacco boots. Reach for a navy jacket and Joe Fresh baby boys chino with suspenders for your boy for a comfortable outfit that's also put together nicely. Blue boots are a good choice to complete this ensemble. 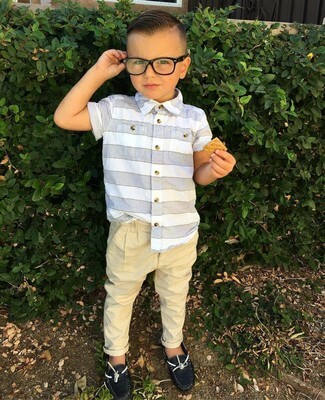 This combo of a white horizontal striped short sleeve shirt and Joe Fresh baby boys chino with suspenders will look cute on your little angel. As far as footwear is concerned, suggest that your boy grab a pair of black boat shoes.